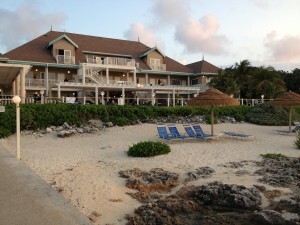 It’s not surprising to meet an unusual cast of characters at a diving lodge, especially an ecofriendly one, but as we chat that evening, occasionally looking up from computer screens, the three divers tell me they are spearing lionfish and emptying out the contents of their stomachs. 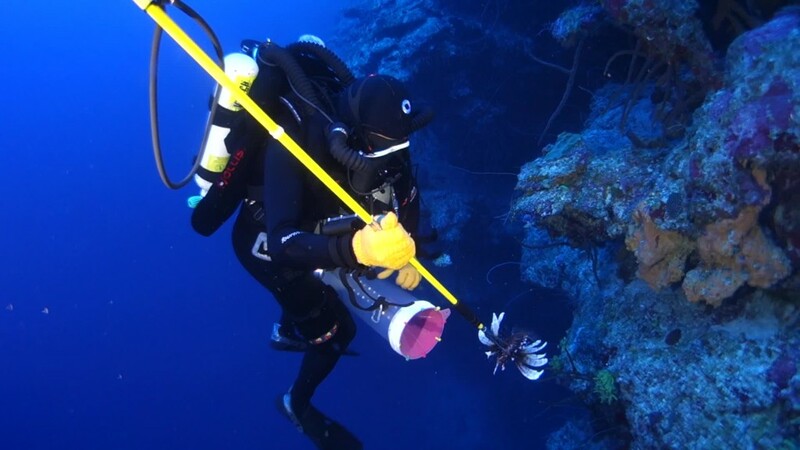 The culling part makes sense, many divers are gleefully bringing up lionfish on the end of their spears, selling them to local restaurants, or filleting them on their own. They are beautiful but invasive fish, with no natural predators, feasting on indigenous reef fish and doing an untold amount of damage in the Caribbean. But tearing out their guts to take a look? I hadn’t heard that one before. When I ask why they tell me, “We need to know what they’re eating.” So, they’re curious about their food—and I wonder why. I discover that the team is from the California Academy of Sciences, and their research will reveal if the culling efforts by divers to clear the invaders from the reef is working. The team wants to know if the lions are feeding in shallow waters, or deeper down the reef walls. If the fish can easily change depth, they can avoid the culling efforts done in shallow waters. They want to know if the larger fish they see in deeper waters move up to shallow areas, or stay at lower depths and breed there. Elliott Jessup the Diving Safety member of the team is the one who documents their underwater adventures, and has the wonderful title of “explorer.” His experience with deep water diving began when he trained in Egypt’s Red Sea. 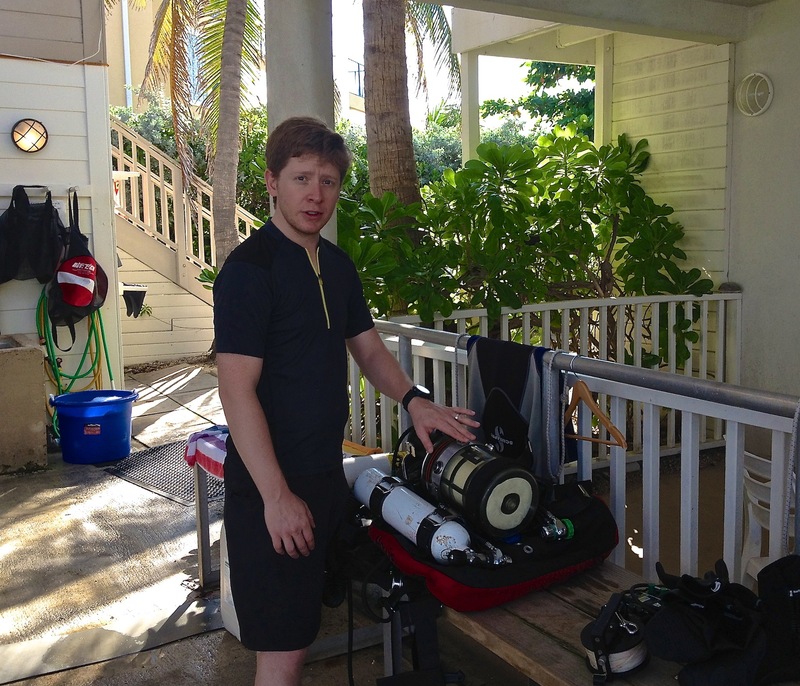 Now managing the highly specialized diving equipment—the closed circuit re-breathing units—he explains how they can plunge much lower than average recreational divers. 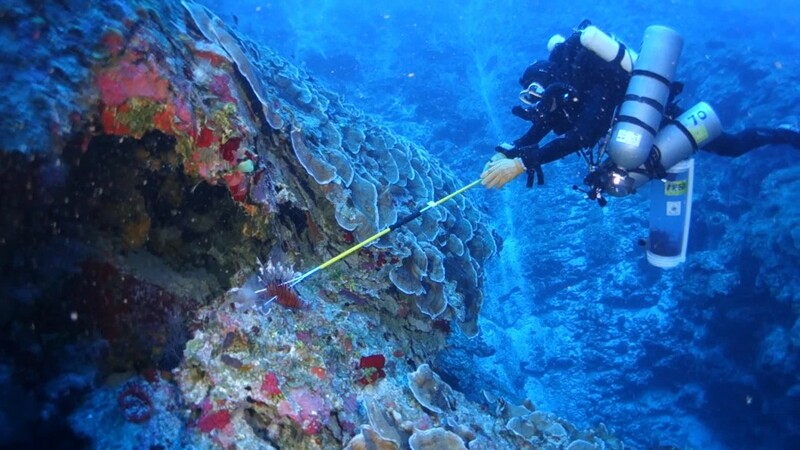 They are collecting lionfish at depths ranging from 200 to 400 feet. I ask the ichthyologist on the team Luiz Rocha, why he wants to know what the lions are eating. “We need to know the species of fish,” he tells me. The prey fish the invaders are going after will need some protection. Know what fish they are eating will also give them information about where they are feeding. These science divers are also taking DNA samples of the fish back to the lab in California. 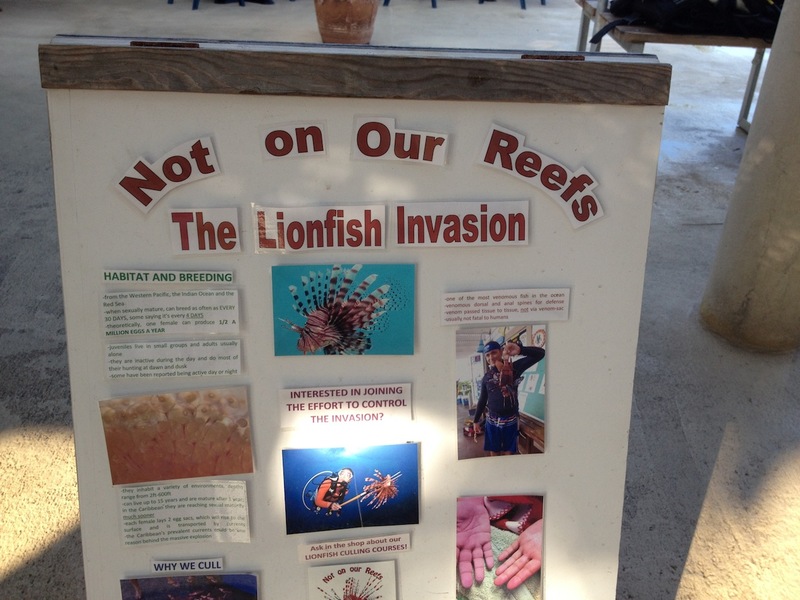 Lionfish most likely arrived in the Caribbean after being released by private aquarium owners. DNA testing will show where the fish actually come from. the culling efforts, providing a market for what is said to be a fine light, white fish. But I’ve never tried it. “We’re giving the fish to the lodge and they’re going to serve it tonight,” Elliott tells me. 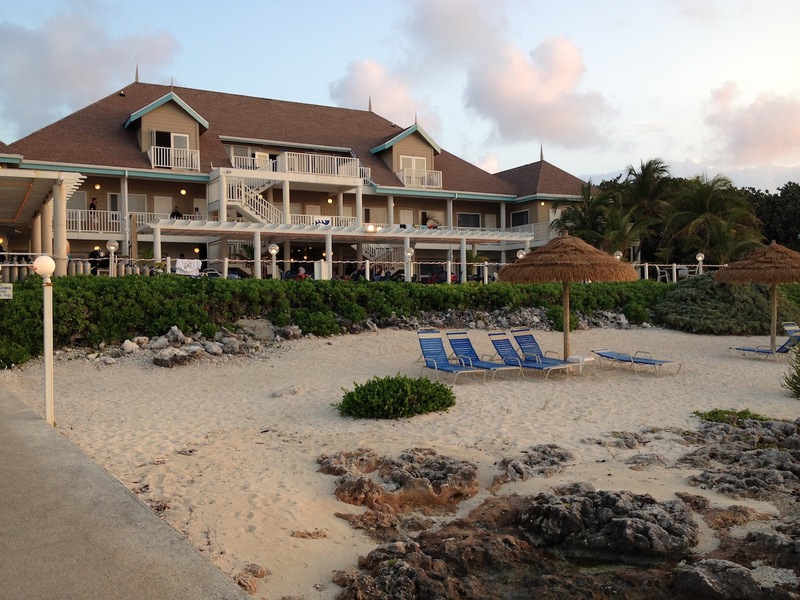 Indeed, lionfish turns out to be the catch of the day at dinner at the Cobalt Coast. I’ve never tried it before, but I’m willing to take a chance. 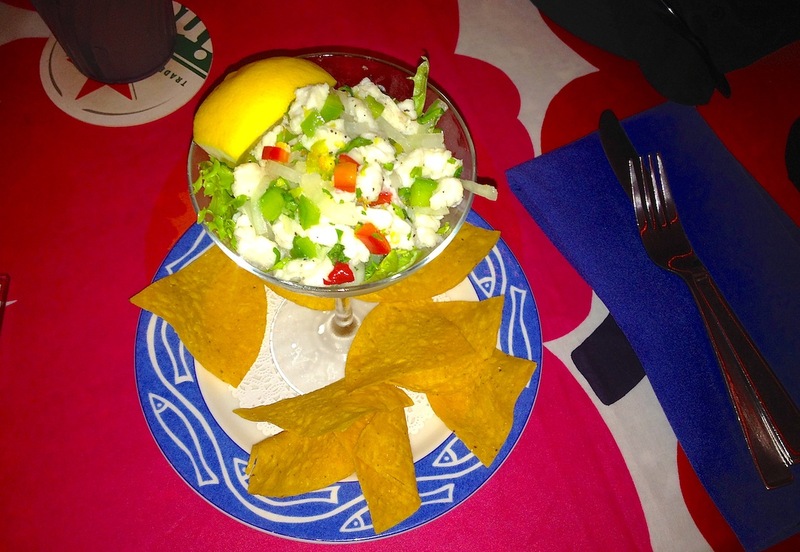 I order lionfish ceviche and it is spectacular; the perfect balance of texture and flavor. In case you find some fresh lionfish on your travels, here is a cookbook created especially to turn lionfish into a culinary delicacy. Creating a demand for it may encourage more large-scale extraction of the fish, the strategy most likely to be effective at removing the unwelcome invader from the waters of the Caribbean. So eat up!